This “happy anniversary” sentiment is a simple and cute way to wish someone a happy anniversa.. 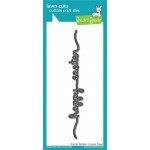 This dies delicate shape makes it easy to curve, giving you more options to explore. 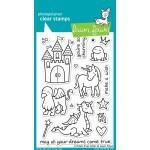 Lawn Cuts cu..
Bring your favorite fantasy to life with this collection of 17 clear stamps. 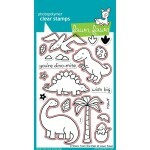 This set contains a ..
4 x 6" Clear Stamp set and matching metal die set. Please contact me if you would like to ord.. 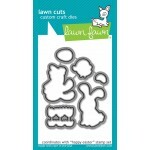 Lawn Cuts custom craft dies are high-quality steel, made in the USA, and are compatible with most.. 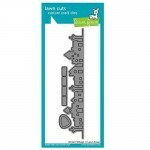 This is a high quality steel die, made in the USA, and is compatible with most die cutting machin.. 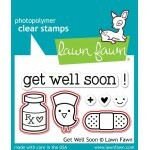 This mini collection of eight clear stamps has everything you need to make a cute get well soon c..
Easter Border is great for adding a cute sentiment to your Easter cards and crafts. 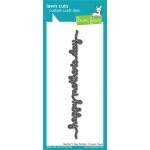 It’s delicat..
Father’s Day Border is a great sentiment for Father’s Day. 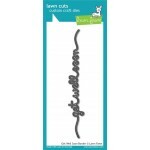 It’s delicate shape makes it easy t..
Add dimension to your projects with this sweet village border. 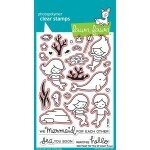 Change the look and season of the ..